Happy Flash Friday everyone! Today is also May the Fourth, a day seized by Star Wars fans because it sounds like “May the Force be with you.” So I know what you’re thinking, “Ken, how are you going to tie the Flash and Star Wars together?” Speedsters. Star Wars has its very own speedster, Teek. You may not be familiar with Teek, that’s okay. That F’ing Monkey has your back and today we’re going to forest moon of Endor. 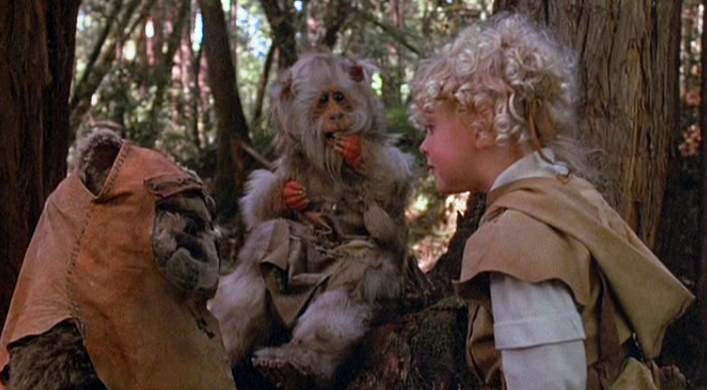 Teek was one of the main characters in Ewoks: The Battle for Endor. Battle for Endor was the second made for TV movie that starred the Ewoks. The first was Caravan of Courage: An Ewok Adventure. At one point both of these were available on one DVD, but that has been out of print for awhile. I’m getting off track here, back to Teek. Teek is a member of a species that live on Endor’s moon called Teek (not a typo, the race and the character have the same name). The race is covered in white fur and has an extremely fast metabolism. They run so fast they are often seen as a blur. They did not always come from Endor and most other sentiments viewed them as pests and thieves. Teek (the individual not the species) was the only friend of a stranded human hermit named Noa (played by Wilford Brimley). 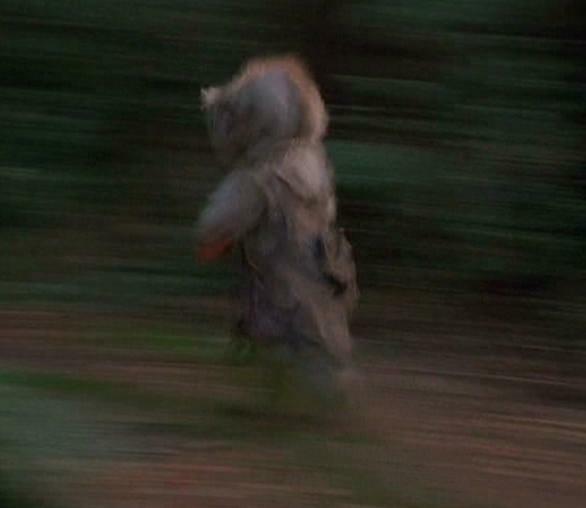 Earlier in the movie the Ewok village is attacked by a new group of villains and all of the human characters from the first move are killed; except for the little girl Cindel. The Marauders capture the Ewoks and only Cindel and Wicket manage to escape. Cute little girl + crotchety old man + 2 furry/cute comic relief characters = yeah you know exactly where this is going. The bad guys are stopped, the Ewoks are freed, Teek gets to live with the Ewoks, and Cindel goes off to live with Wilford Brimley and his newly fixed starship. They probably eat oatmeal every morning, it's quite sappy. Teek later showed up in the boarding video for Disney’s Star Tours ride. His costume must have been lying around when they were trying to find random aliens. A figure of him was released in the Star Tours Boarding party set that was sold at the Disney parks. He also showed up in some of the children's books based on Endor. Before the Attack of the Clones came out there was an official website called the HoloNet news. It ran numerous news stories to give people a better idea what was going on in the galaxy before the movie. A good number of the articles were humorous or filled with obscure references. One of those articles was about the Mobquest Presents: Fastest Land Beings event. A Teek named Yeep hands down one the biped race. 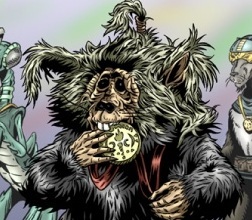 The Teek race was so unknown that his win was contested and he had to be declared “adequately sentient.” Once awarded his medal, Yeep tried to eat it. Speechles on this one man.